For more than a few reasons, most of them well known, the teaching profession can be a challenging one. Chief among them are a heavy workload, long hours (some of them unpaid), and uncertain public sector funding for schools. Still, good teachers tend to say they like their jobs, and great teachers (such as those whose stories are collected in the book American Teacher: Heroes in the Classroom) say they could never consider doing anything else. The not-so-surprising implication is that loving your job as a teacher has something to do with being great at it. Indeed, surveys of teachers find that most of the ones who stick around didn’t pursue the profession for the summer vacations or the job security alone. 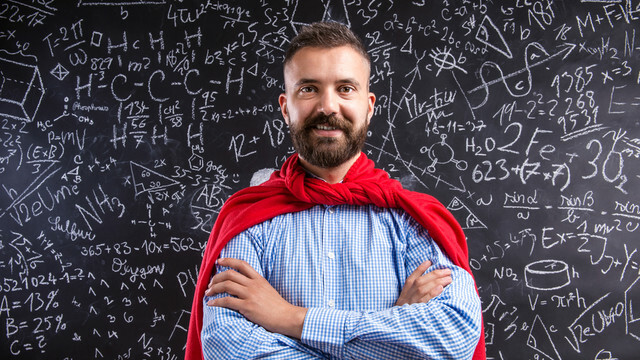 According to a recent survey by the UK’s Association of Teachers and Lecturers Union, 75 percent of its members said they wanted to become a teacher to make a difference, and 80 percent said they enjoyed working with children. In more specific terms, why did the best teachers enter the field? We’ve collected five reasons below. Research shows that people whose jobs give them a sense of purpose are happiest—even if those jobs aren’t tied to the highest salaries, great fame, or a challenge-free environment. Many of the people who became teachers and stuck with it—to their students’ benefit—knew that they would be able to live in pursuit of their own highest ideals, as individual as those may be, by entering the profession. Teaching may not come with glamorous prestige, but the role of a teacher in our society does, arguably, call for it. As philosopher John Dewey and others have noted, teachers sit at the very foundation of our democracy, teaching early lessons in intelligent debate, collective decision making, and patience in the face of difference and disagreement. Dewey argued that when a society’s ties are weakening, the classroom is one of the first places to go to push for progress. Many teachers take the job because they want the responsibility that comes with sitting at that critical fulcrum in our society. Teachers are in one of the best positions to make noise and argue for specific changes—to policy, public perception, and otherwise—when they see signs of social inequity taking root in the education system. In some ways, teachers themselves are the ones who can help keep people and their circumstances equal, and in other cases, they’re powerless to do this by themselves. Either way, anyone actively concerned about the stark signs of inequality in our society is well placed to push for improvement—on large and small scales—as a teacher. In many ways, teachers have to be students themselves—not only to bone up on the parts of the curriculum they are about to teach but also in a broader, less easily definable or pursued sense. Teachers enjoy their jobs most when they are curious about the parts of life they see in their students, their backgrounds, and the forces that act upon them that may not be relevant to a teacher’s own life. When teachers enter their roles with this type of compassionate curiosity, they are appreciative of differences and foster that dynamic within their classrooms. Research reveals that the best 10 percent of teachers impart three times more knowledge to their students than the worst 10 percent of teachers. The best teachers can also be a standard that others aspire—or are required—to approach. In this way, too, the best teachers help close existing inequities in education. At their best, these teachers are not just positive examples but also advocates for enforcing higher teaching standards. While there’s not necessarily a best reason to get into teaching, it is worth paying attention to your own reasons for being drawn to the profession, because they can help predict how effective—not to mention happy—you will be in your chosen role.